This year will be quite interesting as it is very hard to pick a clear favorite based purely on numbers. For Kona the previous year’s winner will always be in the mix. Defending champion Sebastian Kienle has shown some good races this year, so there is every reason to expect him close to the front again. But he is overshadowed by last year’s third, Jan Frodeno. 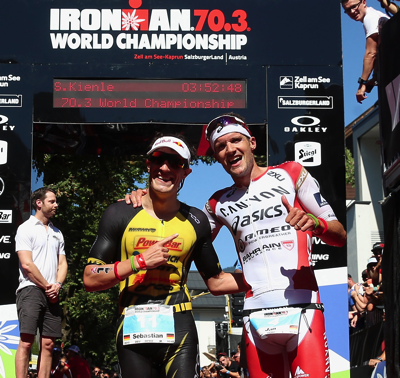 Jan had a dominant race in Frankfurt, improving Sebi’s course record from last year and also winning the 70.3 Champs. Based on the data the next athlete to consider is Marino Vanhoenacker. He still has to show that he can have one more great race in Kona. Frederik Van Lierde, the 2013 Champion, will be in the mix as well. Nils Frommhold seems to be ready to take another step forward after his 6th place last year and winning Challenge Roth in the summer. Sebi and Frodo are also my safe bets for a podium, but the third spot is pretty open. 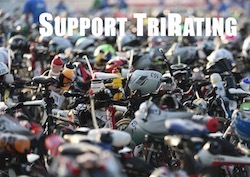 If Marino has a good race he has a good shot at the podium, but Frederik will make it hard. With Nils Frommhold and Andi Böcherer there are two more German podium contenders – we may easily end up with a German podium! Andy Potts is the big American hope for a podium spot.